I first discovered how effective massage can be a few years ago. I’d been suffering from chronic stress for years, and it was normal for my neck and shoulders to go into muscle spasm. In fact, the spasms happened multiple times a year. With a stressful job and a hectic lifestyle, dealing with the pain became a part of daily life. A couple of years ago, I visited South East Asia on honeymoon. While travelling in Laos, the muscle spasms kicked in, so I went to a local massage therapist for treatment. In honesty, I wasn’t expecting it to help me. I’d had spa massages before and, whilst I’d found these incredibly relaxing, they didn’t seem to help my chronic shoulder tension. However, in Laos, the therapist used a blend of stretches and massage that released the tension and eased the pain. The experience put a seed of thought into my mind. However, I returned from honeymoon and back to my usual daily routine. I was spending hours sat at my computer, working as a graphic designer. I wasn’t relaxing enough, stretching properly, or getting enough sleep: a familiar story to many of you! So it wasn’t surprising that, once again, my neck seized up. Recalling my experience in Laos, I went to see a therapist. The treatment was, again, a great help to relieve my pain. I’d experienced how effective massage therapy can help stress-induced pain, and this sparked a great interest in me. I was fascinated by the effects of stress on the body and the ways to relieve chronic pain. This interest, coupled with a desire to help people, made me decide to study massage. I travelled to Brighton to one of the UK’s most professionally-recognised massage training centres to study, and found the course captivating. It was then that I knew I’d discovered what I really wanted to do with my life. 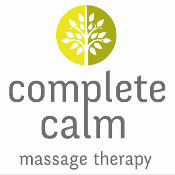 I wanted to make a living helping people, so I left my job and started my business: Complete Calm Massage Therapy. I began working in London, but am now based in the North at my treatment rooms in central Harrogate. I love seeing clients and helping people. I design treatments to target keys areas of tension and discomfort, easing the pain caused by chronic stress. I use the skills I’ve developed through professional training to help others suffering from chronic pain. I continue to travel to Brighton regularly to study at Jing: Advanced Massage Training, where I take a course in advanced client massage. In fact, I’m proud to say that I’m the only person in Harrogate currently studying for this recognised qualification. I’m always looking for ways to improve my skills and help people out of pain. I had an impromptu full massage today, at Fiona’s massage room based in Pure salon. 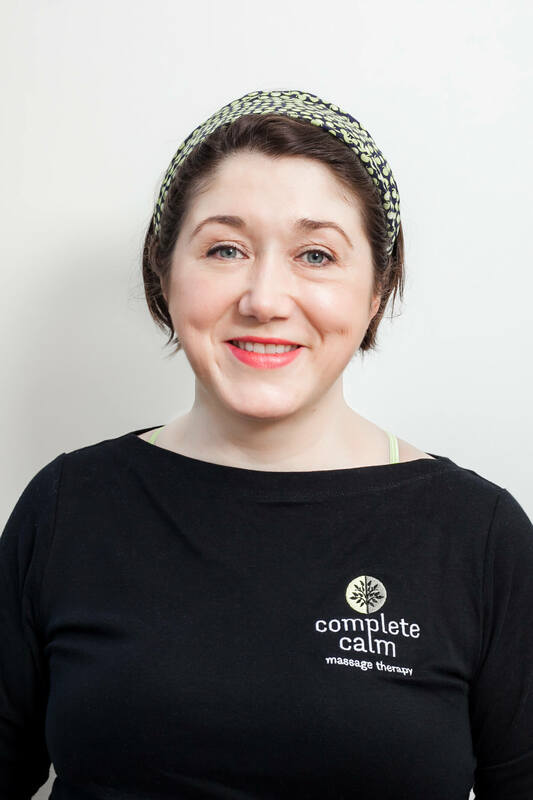 Fiona put me at ease and was genuinely interested in the consultation information I had given her and used it to tailor the session to my needs. My back needed a lot of work and Fiona managed to find all the tightness and knots. Lots of relief as the pressure eased and a lovely, calm feeling throughout, it felt amazing. Thank you so much, I’ll be back!